FRENCHMAN Sébastien Ogier has tightened the battle for the 2018 FIA World Rally Championship with an epic victory in Daysinsure Wales Rally GB – and predicts his bid for a six-straight drivers’ title will be decided in Australia in less than six weeks’ time. The M-Sport Ford driver secured a record fifth victory in the British classic after an enthralling final-leg duel through the north Wales forests with Jari-Matti Latvala, who came home just 10.6 seconds behind. Latvala’s Toyota teammate Esapekka Lappi finished a further 24.5 sec. back, in third place. The championship is now poised for its closest finish in years. Leader Thierry Neuville, Ogier and Ott Tänak are covered by just 21 points, with only Rally Spain to go before the season finale at Kennards Hire Rally Australia on the NSW Coffs Coast on 15-18 November. 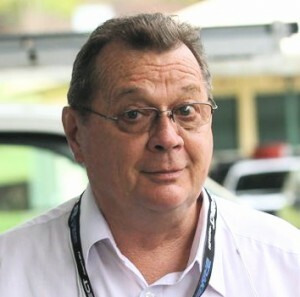 Tickets for Kennards Hire Rally Australia are on sale at www.rallyaustralia.com.au. 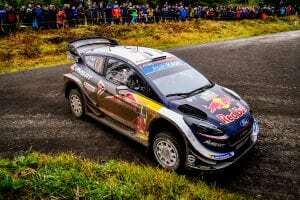 “I’m looking forward to Spain now, where we can perform well I think, followed by Australia where it will probably all be decided,” Ogier said. Victory and three bonus points from Sunday’s Power Stage moved Ogier to within seven championship points of Neuville, who scrambled back to finish fifth after sliding his Hyundai into a sodden ditch on Saturday. Tänak, winner of the last three rallies in Finland, Germany and Turkey, dominated on the muddy, foggy Welsh stages until retiring his Toyota Yaris with a broken radiator on Saturday afternoon. He rejoined on Sunday to claim 19thoutright, but left Wales with only four Power Stage bonus points to boost his tally. 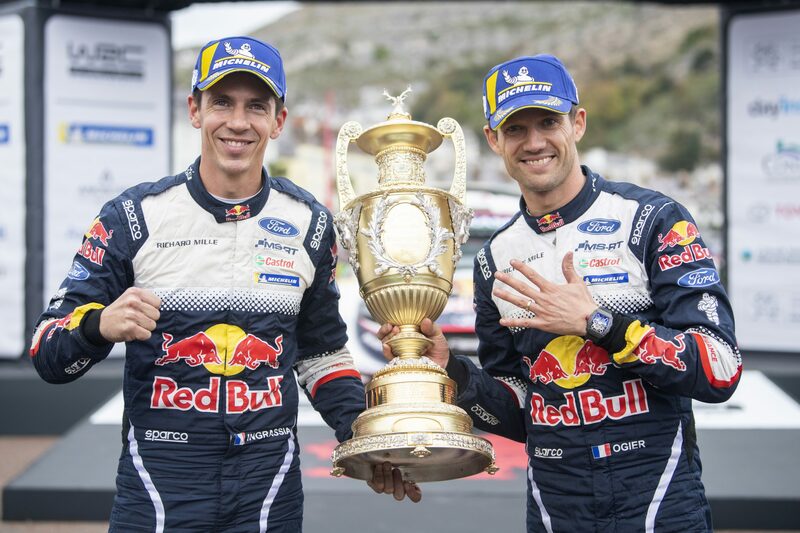 M-Sport team principal Malcolm Wilson praised the fightback by Ogier and co-driver Julien Ingrassia, especially over Sunday’s last three stages, which included a spectacular asphalt dash along the Great Orme cliffside road to the seaside town of Llandudno. “Locked in such an intense battle today, they showed what this victory means to them and their performance through the last three stages was brilliant,” Wilson said. Ogier added: “Luckily I was able to finish the rally with three perfect stages – especially SS22 which was as close to perfection as I can get and I’m glad I could make the difference there. Latvala erased Ogier’s slender overnight advantage in Sunday morning’s slippery forest speed tests and led in his Yaris by 0.2sec with two stages remaining. But Ogier excelled on the drying gravel roads and the asphalt streets of Llandudno to move back in front. Lappi’s third place helped extend Toyota Gazoo Racing’s lead in the manufacturers’ championship over Hyundai Shell Mobis. Craig Breen’s bid for a top-three finish ended in a spin. The Citroën C3 driver finished 35.3sec. behind Lappi in fourth, at the head of a group of five drivers blanketed by less than 12sec. Neuville climbed three places in the final three stages to finish 4.0sec. behind Breen. The penultimate round is the mixed surface RallyRACC Catalunya – Rally de España, which is based in Salou on 25-28 October. Kennards Hire Rally Australia on the NSW Coffs Coast on 15-18 November will be the 13th and final round of the 2018 WRC and also will feature the decider between four contenders for the CAMS Australian Rally Championship. Tickets are on sale at www.rallyaustralia.com.au. A variety of viewing options is available, including the $99 Get Me Everywhere pass with adult access to all stages over three days.